In this post I will focus on yo tool that can be used to generate scaffolding template for aspnet web applications. This tool can be used in environments where you don’t have a Visual Studio 2015 installed or you wanted to scaffold web application using yo command. Yeoman generator for ASP.NET 5 emphasizes to continued effort to enable cross-platform development of ASP.NET It is available for Windows, Linux and OSX operating systems. First of all, configure the ASP.NET 5 environment on your machine. 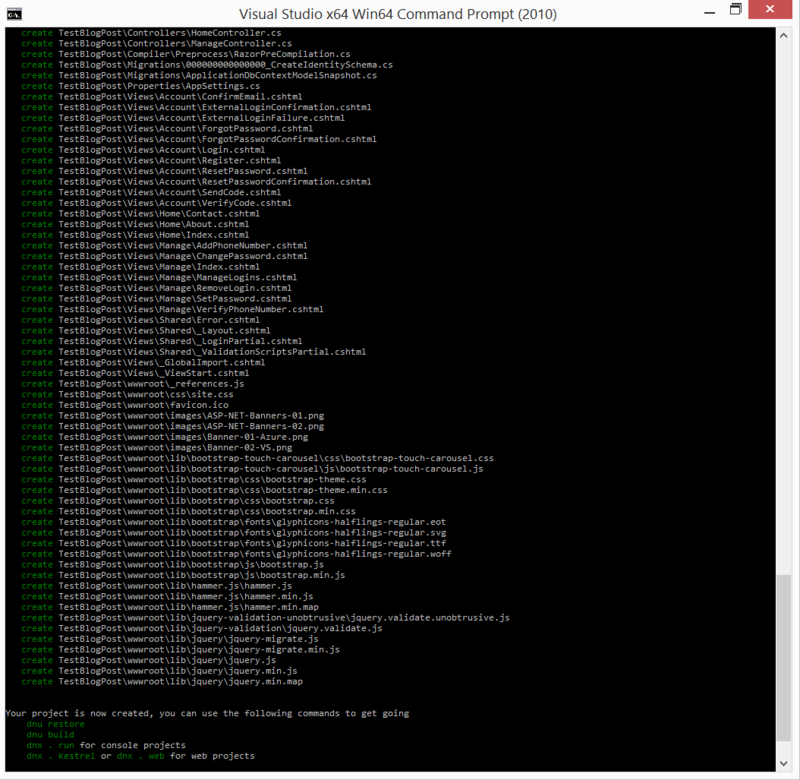 The easiest way to get started on windows is to install Visual Studio 2015. Visual studio 2015 installs the DNVM (Dot NET Version Manager) command line tool to manage DNX (Dot Net Execution environment) versions and much more. 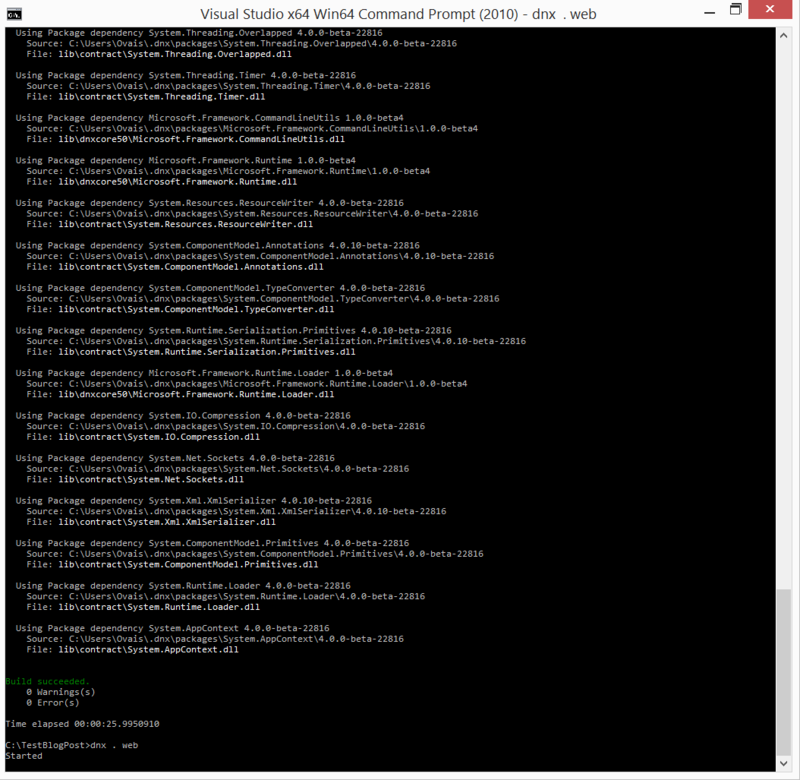 This command will install the DNVM and the latest DNX version available at NuGet.org. 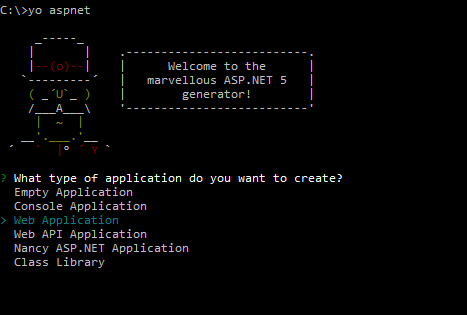 Once ASP.NET 5 environment is setup, develop a simple ASP.NET 5 web application using Yeoman generator. 11. 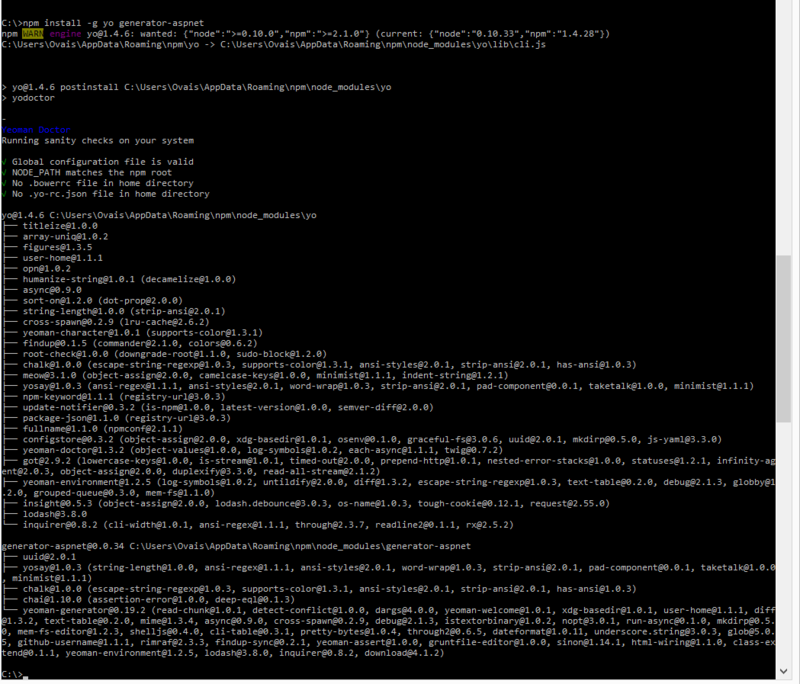 You can see the project is created, now go to the folder as I created on root C drive and my web application project name was TestBlogPost so I found the folder created as TestBlogPost inside c drive root.